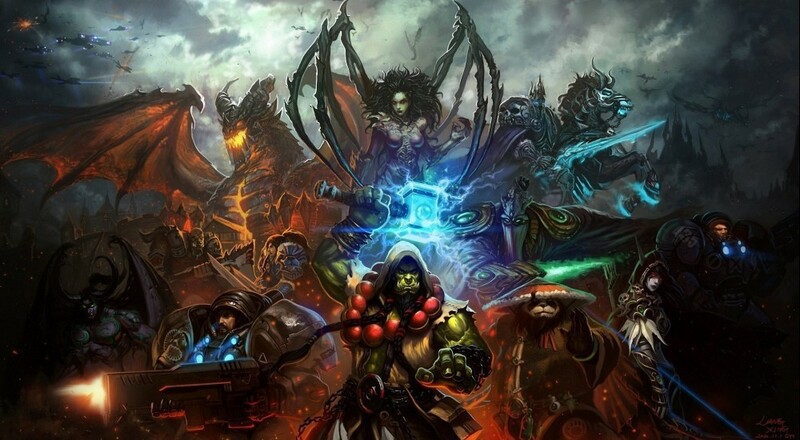 In case you haven't caught wind of the News Thunder, Heroes of the Storm is launching for realsies June 2nd. Pretty soon, everybody can attempt to beat the summer heat by lining up to play as Jim Raynor, Kerrigan, The Actual Devil, or one of 20 million Warcraft characters in Blizzard's new, ostensibly friendlier MOBA. If June is just a bit too far away, you could always get your HoTS fix during the full-on Open Beta, kicking off May 19th. Being a Free To Play game, I'd figure pretty much everything is "Open Beta," but whatever. I'm not a marketing guy. Blizzard even put out a fancy new trailer in celebration of their release/open beta/event which demands a trailer, so go ahead and feast your eyes. Alright, yes, we're all excited for this new MOBA which, hopefully, doesn't nurture the kind of toxic community native to most of these games. But, really, what's better than watching a few of our resident schmucks trying to play? You probably won't see this sort of stuff in a Blizzard PR video, and thank goodness. Mainly because of the smattering of mouse clicks and dead air. But nothing shows off a game quite like a couple folks putzing around in real time. It certainly looks like a MOBA, albeit a bit less mechanically dense than your DOTA 2's, so perhaps the barrier to entry is a bit lessened. Here's hoping that when the gates do open for good, we aren't all consumed by the smoldering vitriol that usually inhabits these kinds of games. Page created in 0.3240 seconds.